It is not everyday that you find yourself in the presence of a 21st century jedi by a stream in the woods, though the Biohacker Summit has a unique way of identifying and bringing these modern day wise men into one mesmerizing space. Enchanting as it may be, that is exactly what Yarrow Willard known as the ‘Herbal Jedi enlists to be. A Clinical/Master Herbalist, and Director of the Wild Rose College of Natural Healing, he differentiates from many self-discovering biohackers, because his immersion into the world of herbs began a generation before him when he was born to herbalist parents. Now a father with children of his own and married (also to a herbalist), Yarrow participated in 200 hours of clinical trials with patients using plants as medicine, before venturing out to further explore the wonders of nature with his brood. His knack for using entertainment in his profession as an educator brings the topics of herbs, mushrooms, superfoods, advanced nutrition and the growing science of rediscovering wellness, with a renewed vigor to anyone passionate to care about the endlessly magical secrets of wild green vegetation. Hailing from Canada, a country geographically and florally similar to Finland, Yarrow’s work tracks back imbalance, illness, pain, and inflammation to the root cause of the way we interact with our environment. Yarrow encourages those who dare, to begin with an awareness and act on “our pain points” in order to discover the sometimes untrodden path to health freedom that so many of us long for. To this end, Yarrow established a botanical dispensary that offers high quality organic plant based medicines, including loose leaf, singles and blends, tinctures, powders, syrups, oils and more. Thousands have gratefully used these to foster better health and healing in their own lives. “We all want to feel better and feel connected”, says the herbal philosopher who believes we learn from our ancestors, but also from our children and plants themselves. What are they telling us? Which are you drawn to? The more we become dependent on technology to teach us what we already deeply know, the more pertinent it becomes to decipher the hidden languages that nature speaks in. 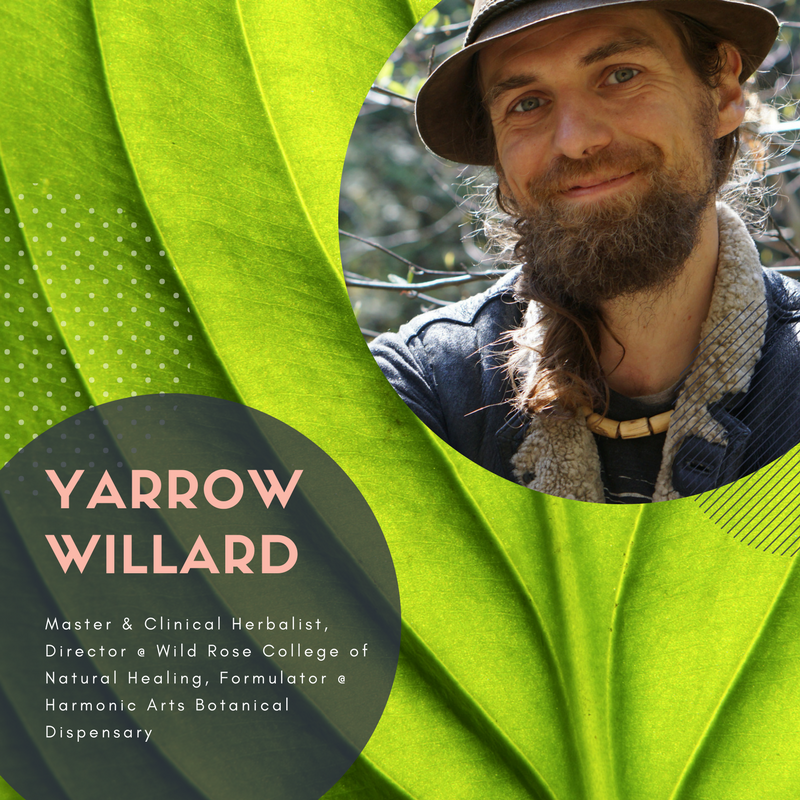 Dedicated to endless learning, Yarrow is committed to the education of herbalism and has made it his life’s mission to share some of these little known secrets in order to broaden our understanding of plant medicine. Whether it’s the flu epidemic going around the neighborhood this winter, or you just keep getting whatever your child comes home from kindergarten with, Yarrow is sure to let you peek through his fascinating knowledge of herb-brewed concoctions and practical take aways of how you can reap the benefits of bringing the wild into your modern day world. Going beyond just plants what about the other elements, the seasons and how to harness their goodness for our optimal experience. If topics like: solvents, ratios, potencies and synergies, working with resins, mucilage, volatile compounds, testing your tinctures – organoleptic and objective measurements, dosing and safety, trigger your fancy like they do ours, then you are sure to enjoy this Biohacker Summit 2017 speaker!